Sarasota Dentistry » Blog » What’s a Single-Tooth Dental Implant? Not necessarily. Some patients are missing multiple teeth or have other circumstances where dental implants are an option.. Single tooth dental implants are used when a patient only has one tooth missing that they would like replaced. The procedure can be used to replace any single tooth — canines, molars, and incisors can all be replaced with a single tooth dental implant. To be considered for this treatment, you must have a healthy jawbone. If you have suffered bone degeneration, you may not have enough tissue to support the post. In this case, Dr. Hank and the Sarasota Dental team may be able to rectify this with a bone grafting procedure, during which he will restore bone volume with donor tissue. In addition to a healthy jawbone, you must have healthy gum tissue. Untreated gum disease can lead to tissue degeneration, and it can compromise the integrity of your jaw. Dr. Michael will conduct a complete exam to determine whether an implant is the right solution for your smile. Implants offer significant advantages over other forms of tooth replacement. First, implants are extremely stable. Because you will not have to worry about your restoration slipping out of place, you can speak, chew, and laugh with confidence. An implant can also promote your overall oral health. Traditional bridges attach to your nearby teeth with dental crowns, which require reshaping the anchor teeth. In contrast, an implant will not require any alteration of your dental structure. Because your single-tooth dental implant will replace your root, it can also prevent jawbone degeneration. There are a variety of oral health complications that can be successfully resolved with the proper application of a quality dental implant. If you have been struggling with a missing or broken tooth, we want you to know there is an option. 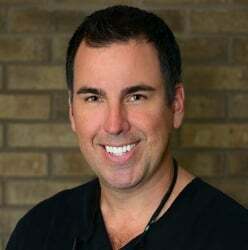 Dr. Hank and the team at Sarasota Dentistry are here to help you achieve your best smile. If you would like to learn more about how a single tooth dental implant can help your smile, just ask!